.One day his mother while sitting at a doctor’s clinic, she heard about the vocational training courses conducted by Don Bosco Tech in Haridwar. She asked Chandra Pratap to enroll in the training program. He visited centre and got admission in Hospitality domain as per his interest. He was one of the ambitious and regular student at Haridwar centre. He was always willing to learn new things from the trainers. The training program helps to gain new dimension in his life. He always engaged in all activities with a approach. Now he looked life in a very different and positive manner. 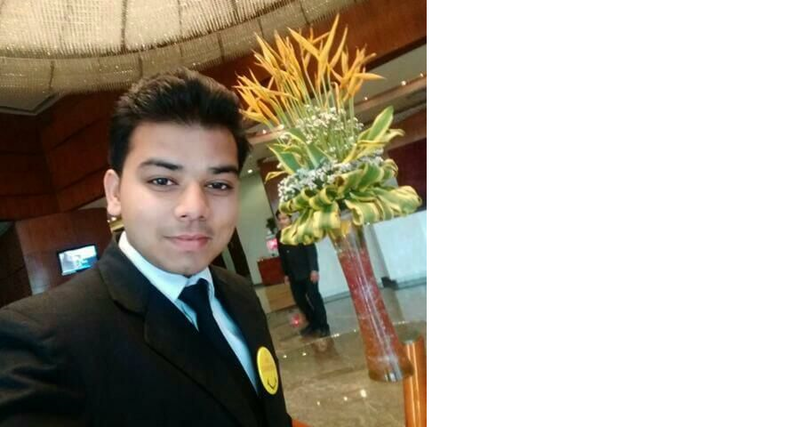 After completing the training program he got a chance to be interviewed in Radisson Blu. He selected in Personal Interview and getting a good salary. Being successful in his career, he shared that Don Bosco Tech changed his life, and is feeling lucky to got associate with ITC Mission Sunehra Kal.